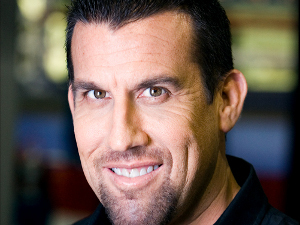 MMA referee “Big” John McCarthy is back to his officiating duties for the first time after 2007. Famous from head to toe MMA referee “Big” John McCarthy returns to the cage for the first time after 2007. Reports say he will oversee the action and the fight on the upcoming UFC on Versus 2. His wife Elaine just confirmed to MMA that he has been assigned by the California State Athletic Commission. He is tasked to officiate the match on the said event at the San Diego Sports Arena in San Diego on Sunday. His wife didn’t specify things about the upcoming fights that he will handle on the said event. It was 1994 when John McCarthy had his debut. He refereed at UFC 2 and became famous since then. Gaining himself the Third Tope Men in Sports. He was a long time policeman in L.A. Standing 6’4, with a 240 pounder cut that imposes fierce inside the cage. He is even larger than most of the fighters he was in charged to discipline. He was known for his catchy phrase “Let’s get it on” which indicates the start of the fight. He is an icon in MMA, he reffed 500 UFC fight. His last was December 8, 2007 with Roger Huerta and Clay Guida. After the said fight, he retired to gain new experiences and grab opportunities, which includes an MMA analyst in Canada-based Fight Network. He is also doing an autobiography of himself. When he left the cage of UFC, his statements were about the direction of UFC which put him on a not so good terms with the president of UFC Dana White. The latter admitted that Big John Ref and UFC have conflicts. He eventually returned into the field on 2008, despite the licenses in Ohio and California, he hasn’t been given officiating duties until now. However last January, he was assigned to became a part of the jury at WEC 46. The possibility of any last minute protests may be awaiting but its still up to the commission if there’s something to talk about.